Johan Norberg points this out in his documentary Sweden: Lessons for America? 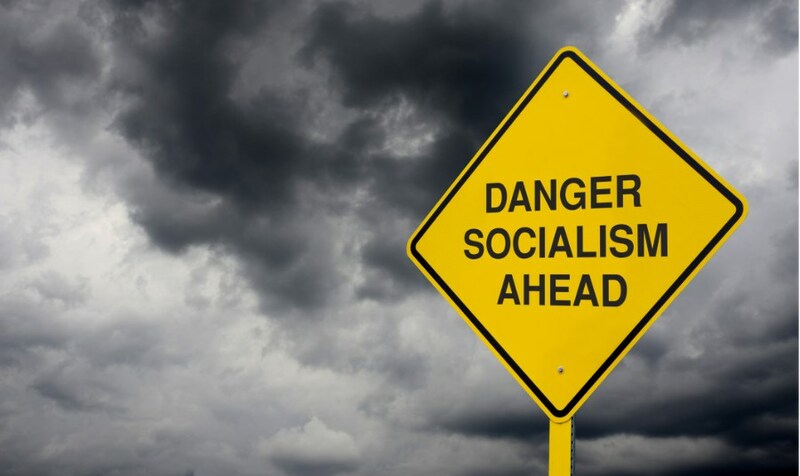 Americans might be surprised to learn that Sweden’s experiment with socialism was a relatively brief flirtation, lasting about 20 years and ending in disillusionment and reform. School vouchers, light business regulation, and no minimum wage laws are practices deeply offensive to America’s leftists. Is there an “all of the above” choice? They love murderous dictators because they live vicariously through said dictator’s actions and deep down pretend they are the ones issuing the orders. I would say brainwashed and miseducated in our liberal Universities. I work with millennial co-workers who praise Socialism. They talk about it a lot and try to convince me how great it is. They quote Barry Sanders and praise Sweden as a Socialist example. We’ll find out at the Last Judgment. In the meantime, that question arises every year, in every generation. We can’t read hearts, but we can say that, if I were Satan and trying to bring an end to everything that is good, Senator or President or CEO So-and-So is doing exactly what I’d tempt him to do. I suggest you all take a few hours and study the Middle Kingdom. In the spiritual realm that spirit now has dominion over the earth. Ok, I don’t know what kind of new age crap you have been reading, but it isn’t good for you. I have a gift from God you do not have. The Middle Kingdom is not the ruling spiritual stronghold. First you were talking about a demon that was promising you things, the you use occult terminology while claiming that the devil is in charge of everything, and now you claim to have what are called “satanic gifts” like precognition. This is getting worse each time you divulge your situation. So says the spiritually blind man. Projection won’t save you. Especially not from the side effects of your occult/new age crap. I suggest you ask to receive the Holy Spirit. Is this when you thought the “spirit” in your head literally granted you Apostolic Authority? What you are showing here is a new and frightening tactic by the devil, that was actually predicted in Revelation. That is not good. What is it to you if God as selected me to wield that authority? God selected you for nothing but holding a reprobate mind. One whose reprobate mind did not tell you that it was a bad thing to fall for the devil’s lies. Are you so arrogant that you actually believe what you are telling me? you are a monster, a demonically oppressed (but most likely possessed) monster. There can be no “tolerance” for evil. you unfortunately exemplify what Chesterton said when he said never to open one’s mind so wide that your brain falls out. you did that. As Chesterton also said, you materialists are on the edge of belief, belief in ANYTHING at all. you have either been going down to the freemason lodge or have been playing videogames inspired by freemasonry (of which almost all of them are). you are blaspheming that God is a mere spirit and that the devil is equal to God. Then you are saying earth is some third material kingdom between the two dualistic “spiritual kingdoms.” Then you say that the devil has taken over the earth. Then you claimed you had precognition and the Apostolic Authority of St Paul. Oy vey. What you are spewing out here is gnosticism, of which freemasonry (and other forms of satanism) are the perfect examples of. Hillaire Belloc said that gnosticism was established when people became so afraid of demons that they assumed that evil was an almighty power equal to God. Therefore they seek to show reverence to demons out of fear because their self-interest forces them to fixate on what may harm them. This is born out of the capital sin of pride. you think you have usurped God by pride, you find demons are stronger than you are, then you assume demons are stronger than God because you have a delusion that you have become “like gods” via “knowing” (aka wishful thinking). The problem with this is that you have no idea who God is and what evil is. evil is decay caused by sin. It is not some eternal force, it is just what happens when something dies due to ending separated from God and then goes insane as it rots. God is the uncreated, uncontingent Prime Mover and God is fully in control. The devil cannot do anything without God’s explicit permission as the devil is a mere continent, created thing like you are. I have seen the Lord. Have you? A great Saint (St Francis de Sales, I think) once had a vision of Christ coming to him in a brilliant display. This vision of Christ was spotless and in blind long light without blemish. The Saint was told that he would be the one who would bring about God’s Kingdom. The image then disappeared and all that was left was a monstrous creature that ran away in fear after sneering at the Saint. you see, Christ is on the Cross until the last day and we must consume the Body and Blood of Christ to survive, so Christ is perpetually with His Wounds. If only you were learned before you got into your situation. I weep for you as much as I know you are dangerous and cannot be left to your devices. You have little or no ability to understand spiritual things. I understand what spirits are, creatures with Rational Souls and no bodies. because you do not understand what spirits are, you therefore confuse them for God and therefore entrap yourself into believing the devil has granted you preternatural power when you really have only offered yourself up for possession without knowing it. I am not joking, or interested in your excuses: go to a Bishop and ask to see an exorcist. you are committing a mortal sin both in your occult practices and in your projection by despair. you are a very arrogant man . leave us with the question: In what sense does Satan “rule” the world? he’s leading the rebellion against God. World in Greek can mean “era” or system, yes. And that is how it is used there. That is not what you were saying, you were using a gnostic/pagan term “middle kingdom” for earth and then claiming the devil is the unquestioned ruler now. This is what you said just after claiming for yourself Apostolic Authority and saying you had “special knowledge” that gives you preternatural ability. China is the middle kingdom . The Chinese people have a collective spirit. Which now has been given dominion by God. to restore a person who is sick, injured, or suffering. The gift of prophecy is being able to proclaim a message from God. speaking and communicate it back to others in your own language. The gift of helps is always having the desire and ability to help others, to do whatever it takes to get a task accomplished. What the occult crap are you talking about? you were suckered into demonic oppression and now are trying to cover your ego with occult pablum in the hopes it distracts you from realize your messed up BAD. Every person has their own unique soul as the soul is what animates you. There is no “collective soul,” and the demon you worship is not God.